Definition of Options that varies Dynamically, is also available as well as Fixed Options. For example, in the Workflow of "Events Venue Selection", Options will be enumerated and be set in the upstream Step for the first time, and then will be selected at downstream Step. 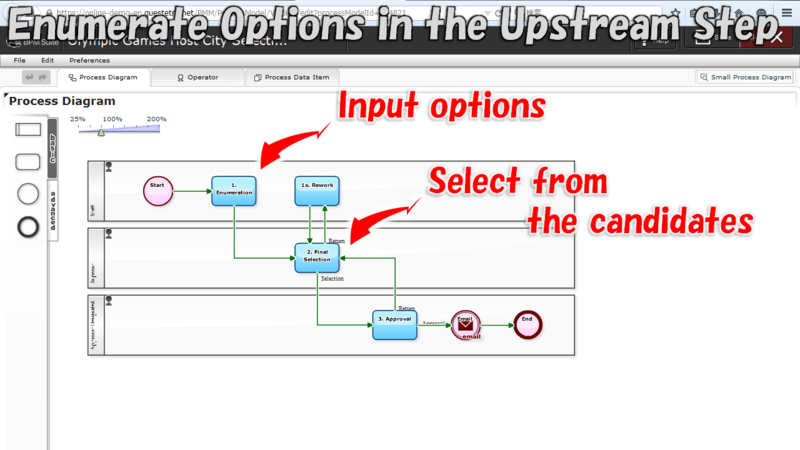 In such a case, set "String type (multiple lines)" which will be entered in upstream Step, as the reference of Options. 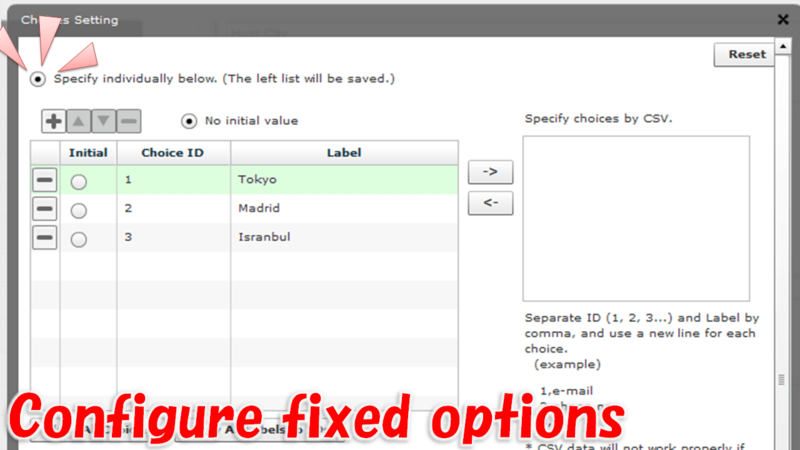 Input example of Options (Option ID / Display Label: "a1/Tokyo", "a2/Madrid" "a3/Istanbul"
When you set the same string to the Option ID] and Display label, only one [String type (multiple lines)] is needed. When the number (of lines) of Option ID and Display Labels is different, Options as many as the number of Option ID will be displayed. 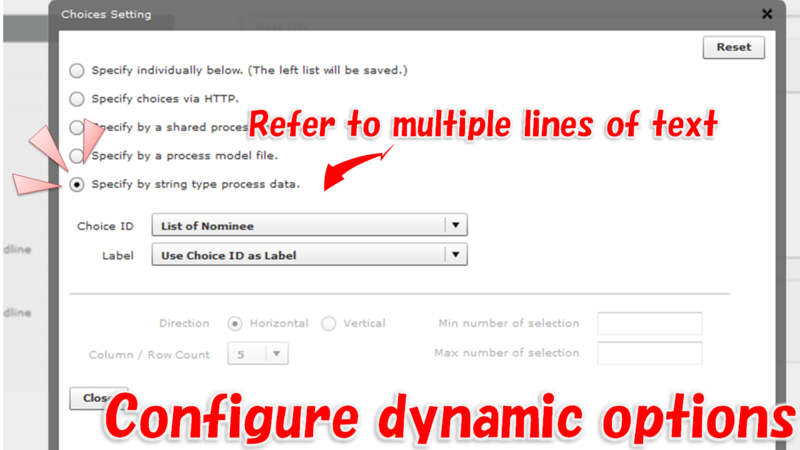 2014-06-16: Master Management to Make All the Client to "Input Select"